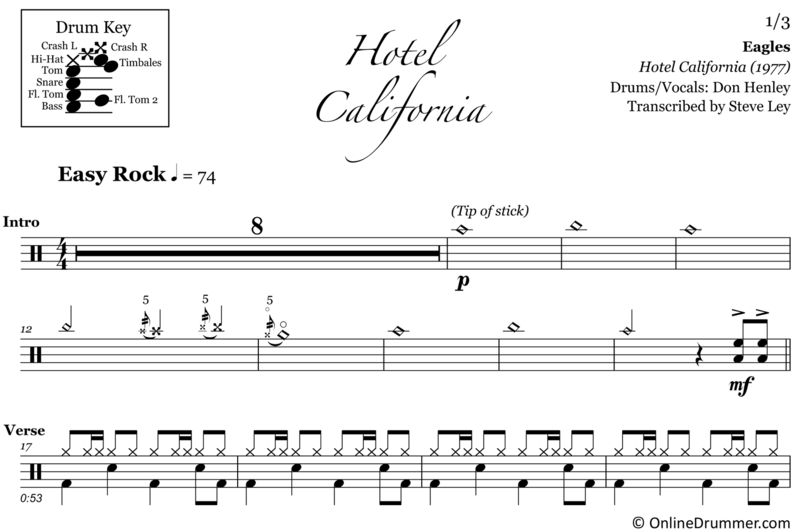 The full drum sheet music for “Hotel California” by Eagles from the album Hotel California (1977). 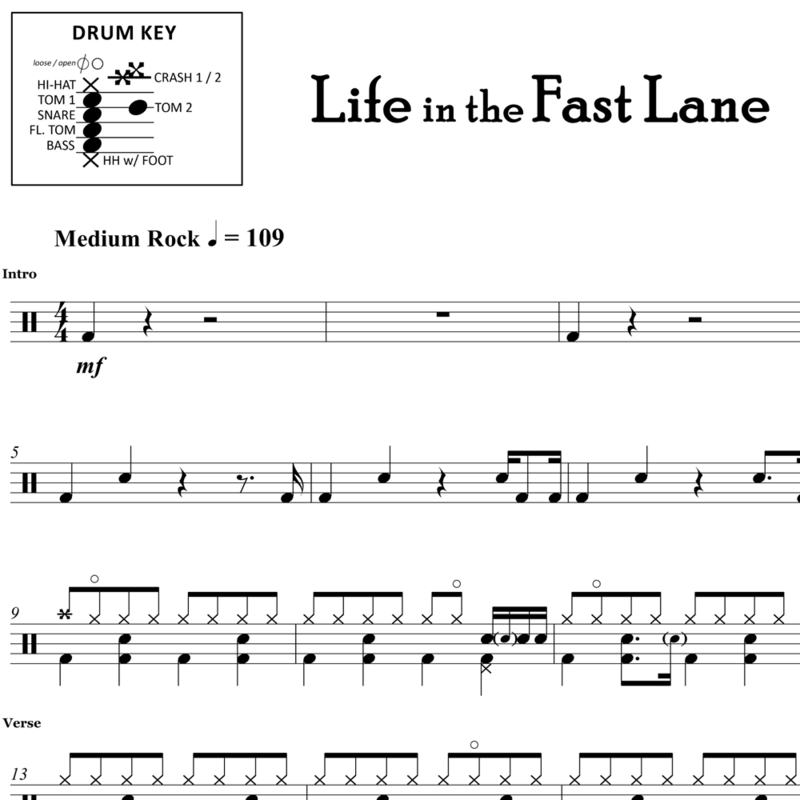 The full drum sheet music for "Life in the Fast Lane" by Eagles from the album Hotel California (1977). 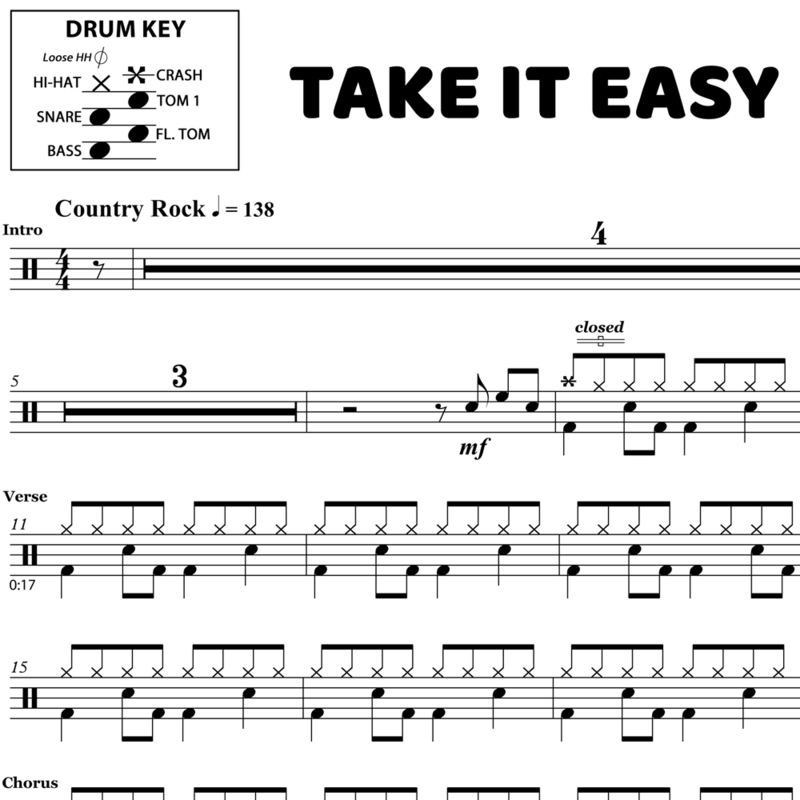 The full drum sheet music for "Take It Easy" by Eagles from the album Eagles (1972).